When you purchase from Heart of Texas Flooring, you know your tile will be of the highest quality. Great Floors at a Great Price! Welcome to Heart of Texas Flooring! You want your home to look its best, and at Heart of Texas Flooring, we understand that. We specialize in providing the most superior home flooring options in Brownwood, TX. Carpet, tile, or hardwood—the choice is up to you! 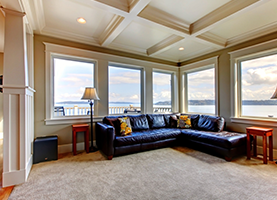 As a comprehensive flooring provider, we offer every option you need to create any atmosphere in your home. The floors of your home can change the entire aesthetic of a property, so it is important that you choose floor materials that complement your decor and suit the unique needs of your family. 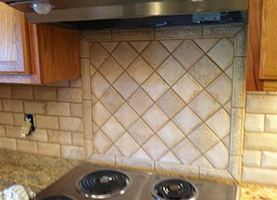 Before we begin any work in your home, we will provide you with a personalized consultation to ensure that the products you choose are right for you. At Heart of Texas Flooring, we carry a wide variety of flooring options. Regardless of the room or theme of your home, we guarantee that we have a product you will love! Whether it is plush, white carpet you desire for the bedroom or sleek hardwood floors for your country kitchen, our company has you covered. Although we specialize in the sale of floor products, as a full-service flooring company, we offer you all the services you need to establish the floors of your dreams. We responsibly manage the installation of your new floors, ensuring through every step that your product looks great and that the individual pieces you purchase are situated properly in your home. Additionally, we are able to repair any existing floors in your home. From mismatched tiles to worn down hardwood floors, we are able to repair any blemish in your flooring to quickly and efficiently improve the overall beauty of your home. 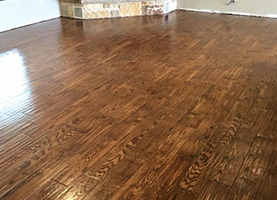 If you are ready to revamp your home with the addition or repair of your floors, look no further than the services at Heart of Texas Flooring. We are known throughout the community for offering great floors at a great price! Give us a call today to learn more about our options or our competitive pricing!